Today, Gov.Bobby Jindal sent a letter to the Partnership of Assessments for College and Career Readiness (PARCC) asking the organization to immediately withdraw from the State of Louisiana. Jindal issued an executive order that instructs the Louisiana Department of Education to begin a competitive process to purchase a new assessment and called on the Department of Education and the Board of Secondary and Elementary Education to develop Louisiana standards for the Legislature to approve next legislative session. The Governor said the state is no longer committed to implementing the PARCC assessment in the 2014-15 school year, rendering it unable to comply with the terms of the June 2010 Memorandum of Understanding between the State and PARCC. In addition, several changes have occurred since the MOU was signed that make Louisiana’s membership in conflict with Louisiana law. He also cited teacher dissatisfaction and concerns over one-size fits all federal standards, and highlighted that the federal government has rushed its implementation. Governor Jindal said, “It’s time for PARCC to withdraw from Louisiana. We won’t let the federal government take over Louisiana’s education standards. We’re very alarmed about choice and local control over curriculum being taken away from parents and educators. Common Core has not been fully implemented yet in Louisiana, and we need to start the process over. It was rushed in the beginning and done without public input. “Additionally, proponents weren’t up front about federal involvement in PARCC and Common Core. Now that we understand the federal overreach involved, we need to slow down and make the right decision. 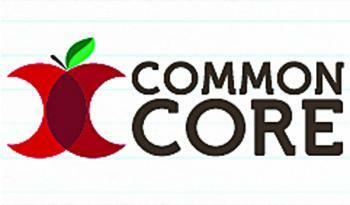 Some Common Core proponents suggest that we cannot have high standards without Common Core. That is a false statement. We need a Louisiana test that ensures children are performing at high levels so they can compete not only around the country, but around the world. We can certainly have high standards without giving up control of Louisiana’s education system to the federal government. The Governor said the MOU does not allow for a competitive bid process for the test, which is required under Louisiana law. Additionally, other vendors have entered the market that offer comparable assessments at lower costs and allow greater input from, and accountability to, the states that hire them. Louisiana law requires the state to choose the lowest cost responsive bidder.